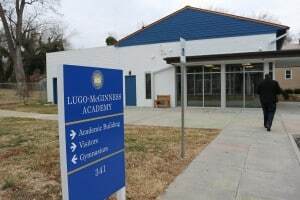 Lugo-McGinness Academy is a small, non-traditional academy that serves Charlottesville City Schools students in grades 8-12. Students may self-select or be referred for admission to the program. Students attending the academy are offered personalized learning through blended and face-to-face instruction, small class size, field trips, Student Leadership Council, recreational basketball, a library, a gym, and a small garden. 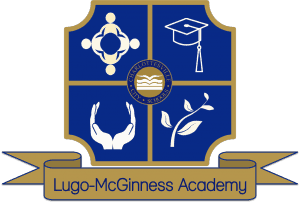 Lugo-McGinness Academy operates with four core expectations: (1) Be here, be ready; (2) Be respectful; (3) Be responsible; and (4) Maintain personal space. Along with curricular offerings and an academic program, the academy provides a therapeutic, supportive environment to meet students’ social and emotional needs. Lugo-McGinness Academy provides a therapeutic, trauma-informed educational setting that promotes community and academics through supports that lead to students’ personal and academic growth. Lugo-McGinness’ main goal is to help students reach their academic goals by providing a supportive, therapeutic, and nurturing educational setting. Through the use of Positive Behavioral Interventions and Supports, therapeutic student services, and a staff of highly-qualified teachers, students leave Lugo-McGinness Academy prepared to pursue post-secondary opportunities. After a long history of alternative education, Charlottesville City Schools moved the program to a new, renovated facility in 2014. 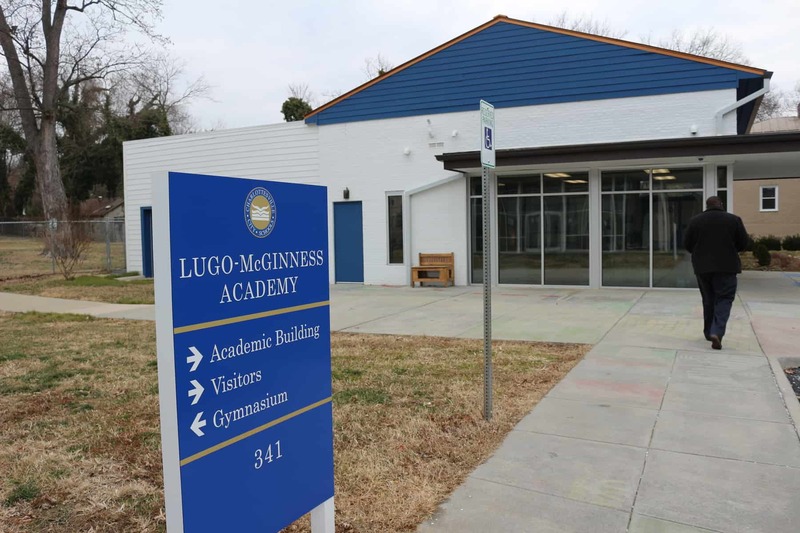 At that time, the program was renamed Lugo-McGinness Academy in honor of Alicia Lugo and Rebecca F. McGinness, two longtime Charlottesville educators, community leaders, and child advocates. Alicia Lugo attended Charlottesville schools during segregation and then graduated from Hampton University. She returned to Charlottesville, where she taught and then served eleven years on the Charlottesville City School Board, including five years as board chair. Also a Charlottesville native, Rebecca Fuller McGinness attended Hampton and taught at the now-closed, then-segregated Jefferson School for more than forty years. Both women set a high standard of excellence which the faculty and staff of Lugo-McGinness strive to achieve.